“Canada’s grave and sincere concern over Iran’s nuclear program again compels us to act decisively. “In round after round of talks with both the International Atomic Energy Agency [IAEA] and the P5+1 [the five permanent members of the UN Security Council and Germany], Iran has failed to engage meaningfully while the risk posed by its enrichment activities only increases. “The absence of progress with both the P5+1 and the IAEA leads Canada to ban, effective immediately, all imports to and exports from Iran. We are also adding a further 30 individuals and 82 entities to Canada’s list of designated persons under the Special Economic Measures Act. Canada continues to support the P5+1 process. The group has worked patiently with Iran, in good faith, toward a peaceful and diplomatic solution to the nuclear question. 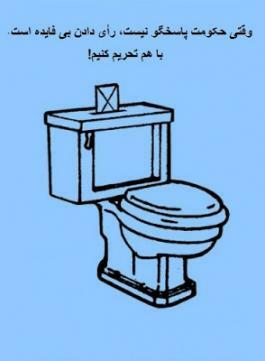 To date, however, the regime has responded only with escalation and provocation, false promises and empty gestures. This was most recently the case following talks in Almaty, Kazakhstan. The individuals and entities being listed today are believed to be engaged in activities that directly or indirectly facilitate, support, provide funding for or could contribute to Iran’s proliferation-sensitive nuclear activities, or are associates of, or are owned and controlled by, or acting on behalf of, such persons. For more information, please see Regulations Amending the Special Economic Measures (Iran). In addition to imposing a ban on all imports to and exports from Iran, effective immediately, the individuals and entities announced today will be subject to an assets freeze and a prohibition on economic dealings. With these new measures, the total number of designated persons rises to 78 individuals and 508 entities. Canada’s new sanctions include exemptions to ensure that the rich people-to-people connections between Canada and Iran continue to grow, and that ties of family and friendship are not broken by the regime’s increasing isolation. Canada’s new sanctions include exemptions for technologies that protect Iranians online and help them break through the regime’s curtain of propaganda. On December 11, 2012, Canada announced further sanctions against Iran under the Special Economic Measures Act in response to Iran’s continued lack of cooperation with the IAEA and the P5+1 group (UNSC permanent members + Germany), which has engaged in negotiations with Iran on its nuclear program, and to maintain unity and consistency with the latest measures adopted by the European Union and other countries. The new measures impose an assets freeze and dealings prohibition on 98 new entities of proliferation concern, and one additional individual. They also prohibited the export to Iran of different types of goods used in the shipbuilding, mineral exploration, mining, metal production, and telecommunications industries; vessels designed to transport or store crude oil or its products; hard currency totalling more than $40,000 in value; and new goods of proliferation concern. The expanded measures also prohibited the import of natural gas, oil, and petroleum or petrochemical products from Iran; the provision of marketing and other financial or related services in respect of certain prohibited goods; the provision of flagging or classification services to Iranian oil tankers or cargo vessels; and the provision of insurance and reinsurance to Iran or any entity in Iran. In order to relieve some of the pressure on ordinary Iranians and on Iranian immigrants to Canada with members of their immediate family living in Iran, the Iran Regulations were also amended to allow all financial banking transactions of $40,000 and under between family members in Canada and family members in Iran. On January 31, 2012, Canada expanded its sanctions against Iran, to add five new entities and three individuals to the list of designated persons. They joined a long list of supporters and associates of the Iranian regime whose assets have been frozen. These sanctions cover the known leadership of the Iranian Revolutionary Guard and block virtually all financial transactions with Iran, including those with the Central Bank. On November 22, 2011, in response to the International Atomic Energy Agency (IAEA)’s assessment of Iran’s nuclear program, Canada imposed new sanctions under the Special Economic Measures Act (SEMA). remove certain entities that have been recommended for removal by the Minister of Foreign Affairs that no longer present a proliferation concern for Canada. The prohibitions on financial transactions and goods used in the petrochemical, oil and gas industry in Iran do not apply to contracts entered into prior to November 22, 2011. Canadians with relatives living in Iran will still be able to send funds to family members, provided those relatives are not listed individuals and provided transactions do not exceed $40,000. On October 18, 2011, Canada imposed sanctions on a further five Iranian individuals, four of whom are members of the Islamic Revolutionary Guard-Qods Force (the Iranian special forces). providing services for the operation or maintenance of a vessel owned or controlled by, or operating on behalf of, the Islamic Republic of Iran Shipping Lines. The Special Economic Measures (Iran) Permit Authorization Order (SOR/2010-166), made pursuant to subsection 4(4) of the Special Economic Measures Actauthorizes the Minister of Foreign Affairs to issue a permit to any person in Canada or any Canadian outside Canada to carry out a specified activity or transaction, or any class of activity or transaction, that is restricted or prohibited pursuant to the Special Economic Measures (Iran) Regulations. Since 2006, the United Nations Security Council has imposed four rounds of sanctions against Iran in response to its nuclear program. Acting under Chapter VII of the Charter of the United Nations, the Security Council adopted resolutions 1737 (2006), 1747 (2007), 1803 (2008) and 1929 (2010) imposing sanctions against Iran in response to the proliferation risks presented by Iran’s nuclear program and in light of Iran’s continuing failure to comply with its binding legal obligations to the IAEA through its NPT Safeguards Agreement and to comply with the provisions of earlier Security Council resolutions. These resolutions require Iran to fully cooperate with the IAEA and to suspend all uranium enrichment-related and reprocessing activities. The Regulations Implementing the United Nations Resolutions on Iran implement the decisions of the Security Council in Canadian domestic law. Implementation of the travel bans imposed by resolutions 1803 (2008) and 1929 (2010) is ensured in Canada under existing provisions of the Immigration and Refugee Protection Act. On September 7, 2012—in light of the Iranian regime’s increase of military aid to the Assad regime in Syria, Iran’s refusal to comply with UN resolutions pertaining to the country’s nuclear program, its deplorable human rights record and anti-Semitic rhetoric—Canada announced the closure of the Canadian embassy in Iran and the expulsion of Iranian diplomats from Canada. All Canadian diplomatic staff left Iran, and Iranian diplomats in Ottawa, were instructed to leave within five days. For the past 10 years, Canada has been the lead co-sponsor of the annual resolution at the UN General Assembly on the situation of human rights in Iran. The 2011 resolution highlighted long-standing violations of human rights by the Iranian authorities, such as the persistent discrimination against and violation of the fundamental human rights of women and girls, stoning and amputation, widespread discrimination against ethnic and religious minorities, and media censorship and harassment of human rights defenders, including women’s rights activists. Canada has pledged to continue to stand with the people of Iran against the oppression from the Iranian authorities. The 2010 resolution was co-sponsored by 42 other UN member states and was supported by 89, with only 32 member states voting against. This represented the largest margin ever in favour of the annual resolution, signalling the international community’s deepening concern with the human rights situation in Iran. For more information, please see Canada-Iran Relations. 15 days to the Election - Focus on Election in Iran - ICT minister response to ISNA news agency on Filtering the internet: I'm following the order of " Online Internet Superior Council " ! Internet in the Islamic regime in Iran became Filternet ! 1- Mr. Mohammad Hasan Nami Minister of Communication in response to a question by ISNA on filtering said: "We are following the order from " Online Internet Superior Council " or Internet Watch Dogs . ISNA reporter asked the minister ; don't you think the volume of filtering in the country could be less than what it is now? The Minister response was, we are following the order from "Online Internet Superior Council " and you better ask them . In recent months many websites were filtered by this watch dogs including " Serat" News website based on baseless accusation and serat's managing director said ,filtering "Serat" News website was illegal and we made a complaint against Mr. Khoram-Abadi the head of this watch Dogs , because of this complaint ,after six days the filtering was removed. "I will start an easy wedding movement in the country . " Focus on the presidential Election in Iran ! Two Weeks more remains to the Election ! "One of the reason of my participation in the presidential candidacy - in the field of foreign policy was , to reduce religious animosity and to work on the unity & strength between Sunni & Shiite Muslim's. He also said: Those with extremist thoughts are now in the society ." "The thoughts of Basiji's must govern the Government offices." 3- Two candidates are left in the race who are believed to be closer to reformists 1- Hassan Rouhani 2- Mohammad Reza Aref . Now , since Rafsanjani is out of the list ,will the reformists like Khatami and Rafsanjani chose and support one of them at this last moment? If this happens ?! can it bring a wave of support from reformists and Green movement behind them ? Reformists are divided at present , some say: We must destroy the fundamentalists game in the election and create a wave behind one of these candidate by participation instead of doing nothing and letting the fundamentalists win the election like 8 years ago when Ahmadinejad became elected and other say : We must boycott the election in its entire and not to enter into an already engineered election ( election circus) . ON Election Day Iranian Borders will be closed ! 1- Ali Abdolahi deputy to political- security of the Ministry of Interior said: During the election we will close all border entrances like what we did when we had the international conference of Non -aligned nations. 2-According to Mehr News agency , Head of Judiciary Power Sadegh Larijani said: "The candidates in their remaining days of debate shouldn't give green lights to the enemies of the Islamic Republic." This is after what Khamenei demanded from candidates not to get involve on what may make the hostile nations and the opposition groups happy. 3- Ahmadinejad and his government during their 8 years running the Government have always played in the side of Khamenei and their hard line policies against reformists and the interest of Freedom Loving Iranian people.They did it with coup, threat , media closure, fear mongering , arrest ,detention and killing of close to hundreds of Iranian reformists .His continues threat is not against Khamenei and hardliner Mohammad Taghi Mesbah Yazdi and Jebhe Paydari ( Resisting Front - A hard line front ) but against the reformists candidates and wont be stopped until the day of election and after the election. Iranian peaceful and freedom loving People, reformists and All in the green movement must focus and find a solution in the remaining days ahead till election and organize their social networking in all over Iran. 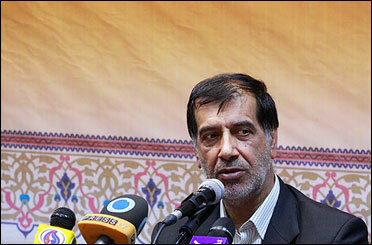 Hamid Reza Jalaeipour: NO Reformists among Presidential Candidates ! "Although the reformists would want to participate in the election but after the removing of Rafsanjani from the candidacy ,there is NO reformist left in the race.According to " Nedaye Sabz online" it was a great shame for regime to remove Rafsanjani from candidacy ,because they knew they will fail and won't have much vote from Iranian people. 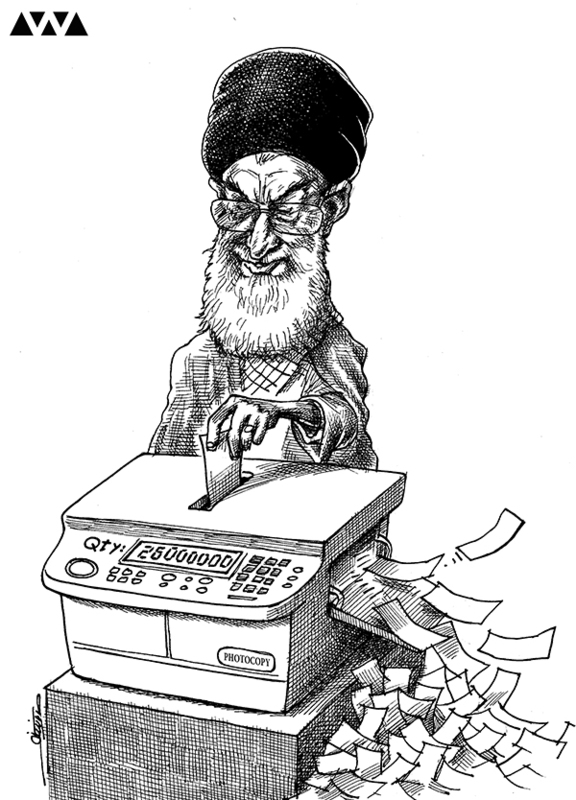 Regime expected that Rafsanjani will get 30,000,000 vote of Iranian people from various sectors of the society even from " Osulgarayan" ( those insist on principle ) which would have created greater wave than the wave of protest in 2009 presidential election.Regime instead chose early coup and shame than facing with people's vote and another possible uprising the next day of election.The reformists concern is to solve people's economic problems and that's why despite of Rafsanjani's removal still want to participate in the election but we don't have candidate. " 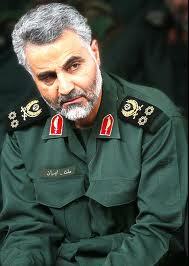 He believe that,the reformists must now focus on organizing people to stop the regime instead of focusing on election. 16 Days to the election . Another coup against the will of Iranian people ! Khamenei is leading its regime to more radicalization ! Regime headed by Khamenei chose to make 2nd coup ( The first one 4 years ago against Musavi the presidential candidate)against the will or Iranian people by removing Rafsanjani from presidential candidate. This regime does not concern about the shame but staying on power with all its costs .It is now the will of Khamenei and his regime and dictatorship against the will of Iranian people's . Iranian people now must chose rather to let the regime and Khamenei to run the country the way it ran in the past 8 years with Ahmadinejad or to stop this entire regime with their 2nd attempt like 4 years ago.Iranian people always showed in the past they won't allow their destiny and the country in the hand of Khamenei and his circle, instead they will find a way to show their real power which would be bigger than past one to crush this regime.Opposition must unit to organize civil society to encircle the regime with civil disobedience. 17 Days to Presidential Election in Iran ! When Election become a circus ! When People's vote means nothing ! Disregarding People's vote is a gross violation of Human Rights ! Composition of the new FIDH International Board. "The future president shouldn't be a closed Watermelon." and the blood group of Aref and Rohani ( both presidential candidate and close to reformists ) don't match with us and the future president must do things that are emphasized by the leader." "Gashte Ershad " ( patrolling Police for Guidance) is the cause of inflation !? "One of my great achievement was that, i met a great man and that is Commander Soleymani ( Head of Qods forces of the Islamic Republic)and whatever i learned , i learned from him and No one is as close as him to me in this world.We are encumbered in weakness on Management. " 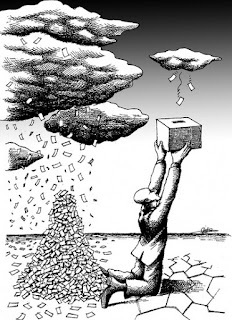 Cartoon by Mana Neyestani : "A Man With One Vote "
21 Days left to Presidential Election in Iran. Threats and Arrests continuous as we get closer to election day on June 12. "Greeting to Guardian Council for their firmness. In case of threat, Iran will become the killing field for agressors.We are grateful to Guardian Council for making the nation of Iran happy." "Our work has just began and we are going to stay and the thoughts on spring never going to die , unfortunately the man of spring is not here and we missed him ( referring to Mashaei Government candidate for presidential election). Fear mongering before election ! Regime security forces attack on political activists in the city of Lahijan ended with many arrest in this tiny city in the North of Iran. Apparently these political activists were preparing a headquarter for Hashemi Rafsanjani's campaign in the city . after six days imprisonment ,they were able to speak to their families once. Hamid Hadisi, Ebrahim Khosh Sirat,Moris Bagheri , Engineer Jafari ( head of Mosharekat Party)and Meli -Mazhabi activist of the city. According to news , these individuals were taken to the " Sepah intelligence" prison in the city of Rasht. Furthermore , more Bahai's including one high ranking priest were also reported arrested elsewhere in Iran. (Beirut, May 24, 2013) – Serious electoral flaws and human rights abuses by theIranian government undermine any meaningful prospect of free and fair elections on June 14, 2013, Human Rights Watch said today. Dozens of political activists and journalists detained during the violent government crackdown that followed the disputed 2009 presidential election remain in prison, two former presidential candidates are under house arrest, and authorities are already clamping down on access to the internet, having arbitrarily disqualified most registered presidential and local election candidates. As the elections approach, authorities have tightened controls on information by severely cutting back internet speeds and blocking proxy servers and virtual private networks that Iranians use to circumvent government filtering of websites. The authorities have also gone after government critics, summoning, arresting, and jailing journalists and bloggers, while preventing opposition figures and parties aligned with Iran’s reformist movement from participating in the elections by banning or severely restricting their activities. The June 14 elections for Iran’s next president will take place alongside voting to fill more than 200,000 seats on city and village councils, with only officially approved candidates on the ballot in all cases. The registration period for presidential candidates closed on May 11. 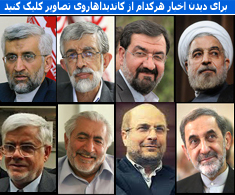 On May 21 Iranian state television announced that the Guardian Council had finished vetting more than 680 registered presidential candidates and accepted a final list of eight men. Well-known and prominent figures disqualified by the Guardian Council included a former president, Ali Akbar Hashemi Rafsanjani; President Mahmoud Ahmadinejad’s adviser Rahim Mashaei, former Intelligence Minister Ali Fallahian, and former Foreign Affairs Minister Manouchehr Mottaki. The week before, authorities had disqualified several hundred candidates who had registered to run as city and village council election candidates. Some local council candidates have appealed their exclusion, but Iran’s electoral law makes no provision for appeals by disqualified presidential candidates. The Guardian Council does not, as a matter of practice, publicize the reasons why candidates are disqualified. Between May 7 and 11, 686 candidates, including about 30 women, registered as presidential candidates. After the registration period closed, the Guardian Council, an unelected body of 12 religious jurists, began vetting the candidates, using a mix of criteria – some that are clear, such as those relating to age and educational qualifications, but others that are vague or open to interpretation and enable authorities to make sweeping and arbitrary decisions. The council has consistently ruled out female candidates because the constitution requires that the president be chosen from “pious and political men” despite debate among Iranian constitutionalists about whether it was intended that the term “men” should be given an exclusively male connotation. On May 16, Iran’s semi-official Mehr News Agency reported that Mohammad Yazdi, a clerical member of the Guardian Council, had said that the “law does not approve” of a woman in the presidency. The current crop of presidential hopefuls includes several who have held very important government posts since the founding of the Islamic Republic in 1979. Some have been implicated in serious rights abuses, including when the authorities crushed the mass protests after the disputed election of Ahmadinejad in 2009. On May 15, reports from activists alleged that Mohammad Baqer Qalibaf, Tehran’s mayor, recently bragged that he had played an important and critical role in repressing anti-government demonstrations in 2009 alongside security and intelligence forces. Qalibaf, seen as a likely leading candidate to be the next president, formerly held senior positions in both the Revolutionary Guards and the national police and is alleged to have directly participated in or supported violent repression of the student uprisings in 1999 and 2003. Security forces continue to detain two leading opponents who ran against Ahmadinejad in the 2009 election, Mir Hossein Mousavi and Mehdi Karroubi. They, together with Zahra Rahnavard, Mousavi’s wife, remain under house arrest. Authorities imposed house arrest after Mousavi and Karroubi called for peaceful demonstrations in solidarity with popular protests in Egypt and other countries affected by the Arab uprisings in February 2011. An informed source close to Karroubi’s family told Human Rights Watch that Intelligence Ministry officials have confined him in an apartment building for over 20 months, allowing him to leave the complex only a few times, mostly to receive medical treatment at a nearby hospital. All family visits have to be conducted in the presence of security and intelligence officials. 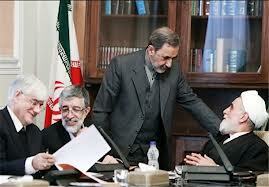 The authorities have allowed Mousavi and Rahnavard to remain in their private residence under house arrest. None of the three have faced charges, nor have they had any means to challenge their internment before the courts or an independent tribunal. The authorities are also detaining dozens of other government critics and opponents, including members of reformist parties, who were sentenced to prison as part of the crackdown following the 2009 election. 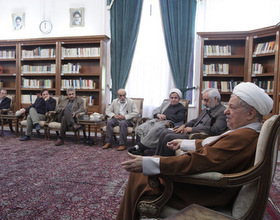 In January 2013 authorities blocked plans by the Coordination Council of the Reformist Front, an umbrella group that coordinates the activities of reformist parties, including some that are banned, to convene meetings to discuss and decide on issues related to the upcoming presidential election. A member of a reformist party, whose activities have been banned by the authorities, told Human Rights Watch that authorities informed the Coordination Council that it could proceed with meetings only if it accepted all the rules and regulations relating to elections, including those providing for Guardian Council vetting. The source also said authorities told the Coordination Council that it must not invite former President Mohammad Khatami and not allow the participation of banned reformist parties. Faced with these conditions, the Coordination Council felt compelled to cancel a meeting to discuss participation in the June 14 elections. Authorities have also intensified restrictions on information, increasingly blocking internet sites considered objectionable, aggressively slowing down internet speeds, and summoning for questioning, harassing, and arresting journalists and bloggers. Dozens of journalists and bloggers are currently in prison, according to Reporters Without Borders and the Committee to Protect Journalists. Two journalists who spoke to Human Rights Watch on condition of anonymity due to their fear of official reprisals said that the Intelligence Ministry, Culture and Islamic Guidance Ministry, and the Supreme National Security Council have all issued standing guidelines to the Iranian media warning them to beware of breaching the government’s “red lines” when covering elections. These include reporting about Mousavi and Karroubi and banned political parties such as the Islamic Participation Front and the Mojahedin of the Islamic Revolution. Kaleme, a reformist website, said that the Intelligence Ministry called in representatives of various newspapers in the week of April 15 to reinforce that warning. Kaleme reported that the “red lines” included untoward criticism of the presidential candidates. It said that Intelligence Ministry officials made clear that they would not consider criticism of Ahmadinejad, who cannot run for a third consecutive term, as breaching the “red line” although the judiciary has previously jailed dozens of journalists, such as Bahman Ahamdi-Amoui, on charges of “insulting the president” since Ahmadinejad came to power in 2005. In February, the General Prosecutor’s Office issued guidelines identifying “criminal content” forbidden from publication in connection with the elections, including any calls for a boycott of the vote or for unlicensed demonstrations. The guidelines and existing law also criminalize any content that “disturbs the public mind” in the view of the authorities or creates tension between social classes on the basis of race, ethnicity, or other factors; “insults” candidates or government officials; or is “untruthful” when reporting on official vetting of candidates or the election results. Internet users in Iran reported that they have encountered increasing difficulty accessing filtered websites using virtual private networks – often used by businesses and individuals to secure their internet traffic from monitoring and evade internet filtering – and other circumvention tools since May 4, although authorities have systematically blocked websites, slowed internet speeds, and jammed foreign satellite broadcasts since 2009. One Iranian information technology expert told Human Rights Watch that government methods of restricting access to information appear now to be “more developed and smarter” than in the past, with the blocking of virtual private network sites as part of its efforts to develop a “halal,” or national, internet. The authorities say they are seeking to develop a national internet to protect users from socially and morally corrupt content, and to defend against virus or malware attacks from foreign sources. Some defendants were made to confess in front of television cameras, in violation of the right under international law to not be compelled to testify against oneself. Behzad Nabavi, a former parliament member and high-ranking member of the Mojahedin of the Islamic Revolution, a banned reformist party, is in Tehran’s Evin Prison. Security forces arrested Nabavi on June 13, 2009, the day after the last presidential election, then held him in solitary confinement for months and forced him to confess on television to crimes against national security. A Revolutionary Court sentenced Nabavi to six years in prison in February 2010. An informed source close to Mohsen Mirdamadi, the head of another banned reformist party, the Islamic Iran Participation Front, told Human Rights Watch that authorities constantly monitor and harass members of the party and prevent them from holding gatherings. He said that government officials locked the party’s offices after the 2009 election and they have not had access since. Mirdamadi is also in Evin Prison, serving a six-year sentence for breaching national security. Security forces arrested Mirdamadi soon after the 2009 presidential election without producing a valid warrant and then held him in solitary confinement for 110 days before parading him before television cameras at one of the show trials. 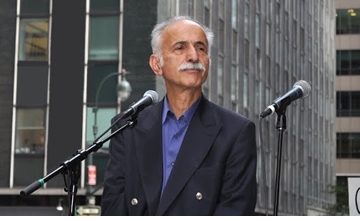 Mostafa Tajzadeh, another leading member of the party and a critic of the government is also serving a term in Evin Prison. On September 27, 2010, the general prosecutor and judiciary spokesman announced a court order dissolving both the Islamic Iran Participation Front and the Mojahedin of the Islamic Revolution. Authorities have also prevented members of other opposition groups, like the Freedom Movement party, from holding gatherings. The authorities’ “red line” warnings to journalists and media outlets prior to the elections are particularly worrying given the lack of accountability that surrounds arrests, torture, and other ill-treatment of journalists and bloggers by Iranian security forces. On November 6, 2012, authorities informed the family of Sattar Beheshti, a blogger, who had died in custody after police from a special “cyber” unit arrested him on October 30. In January, a parliamentary committee announced that the authorities had made several arrests in connection with Beheshti’s death but declared his initial arrest lawful and warranted. No one has been held accountable for Beheshti’s death. Since late 2012, the authorities have exhibited increased sensitivity to reporting by journalists working for Iranian media and those working for foreign-based Persian-language outlets. On December 28, Iran’s Supreme Leader publicly warned journalists and others against suggesting that Iran’s elections would not be free. 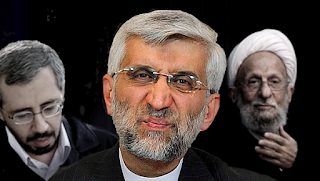 On January 21, 2013, Prosecutor General Gholam Hossein Mohseni Ejehi claimed during a news conference that he had evidence that “certain journalists in Iran are collaborating with Westerners and counter-revolutionaries based abroad” and that security forces would soon arrest them. Days later, authorities arrested more than a dozen journalists at their homes or offices, apparently in connection with their coverage of the upcoming election, subsequently releasing most of them. An informed source who spoke to Human Rights Watch said that Intelligence Ministry officials had extracted commitments from some of the journalists that they would not write sensitive or critical comments during the election period. Human Rights Watch documented a similar crackdown on journalists and bloggers prior to the March 2, 2012 parliamentary elections. A journalist employed by Voice of America’s Persian language service told Human Rights Watch that authorities recently confiscated her father’s passport when he returned to Iran from a trip abroad. The authorities had previously searched his home and called him in for questioning about his daughter’s work at VOA Persian, warning him that she should stop working as a journalist there. In 2012 Human Rights Watch documented similar harassment against family members of journalists working for BBC Persian. During and following the mass protests after the 2009 presidential election, Iran’s security forces killed dozens of anti-government protesters and arbitrarily arrested, and in some cases tortured, thousands of peaceful demonstrators. Revolutionary Courts conducted mass show trials, with numerous serious violations of basic fair trial rights, leading to the conviction and imprisonment of hundreds of protesters, civil society activists, and political opposition members. Four years on, the authorities have yet to hold any high-ranking government official to account for the serious and widespread rights abuses by the security forces. 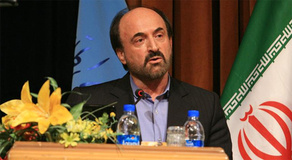 On January 21, Prosecutor General Ejei said that the judiciary would initiate criminal proceedings on February 26 against Saeed Mortazavi, a former Tehran prosecutor general and current head of Iran’s Social Security Organization, and two of his judicial assistants in connection with alleged abuses at Kahrizak detention facility, including the deaths of at least five people, following the 2009 election. 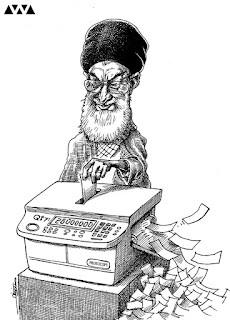 A 2010 parliamentary investigation had presented evidence that Mortazavi had been a leading figure in the Kahrizak abuses. His trial is under way behind closed doors. In December 2009, a military court brought murder charges against 11 mostly low ranking police officers and a private citizen who had allegedly collaborated with the police in connection with the deaths of detainees at Kahrizak. The court subsequently convicted most of the accused but acquitted the highest-ranking defendant, Gen. Azizollah Rajabzadeh, who had headed Tehran’s police at the time of the detainees’ deaths. In addition to the statements cited above, Human Rights Watch has reviewed a two-hour audio recording in which the voice allegedly is Qalibaf’s during an address he recently made to a group of Basij students at a private function. The speaker talks about the 1999 student protests and says that he was a Revolutionary Guard Air Force commander at that time, and was responsible for writing a letter to then-President Mohammad Khatami criticizing him for not standing up to student protesters at Tehran University. The speaker goes on to say that that during the protests he was personally responsible for using a baton to clear the streets of student protesters. The 1999 government crackdown on the Tehran University dormitory and demonstrations throughout the country led to the deaths of at least four people, and the arrests and disappearances of hundreds of others. Minutes later, the voice that is allegedly Qalibaf’s tells the Basij students that as the head of Iran’s national police, he strongly objected at an Interior Ministry meeting, where he strong-armed the authorities to give him written permission to enter Tehran University where students had been protesting for weeks during the summer of 2003, and to use live ammunition if necessary. He goes on to say that his decision to stand firm before authorities he felt were responsible for fanning the flames of protests in Tehran ultimately forced the protesters to stand down, and that there was no need for him to use the authority given to him. Security forces nonetheless used violence and the assistance of pro-government vigilante and paramilitary forces to beat, harass, and arrest student protesters. Other current presidential candidates who have been implicated in serious abuses include Mohsen Rezaei and Ali Akbar Velayati. In 2006, an Argentinian judge indicted the two, along with disqualified candidates Ali Fallahian and Ali Akbar Hashemi Rafsanjani, for alleged involvement in the 1994 bombing of a Jewish center in Buenos Aires, Argentina that killed 85 people. Interpol arrest warrants are currently in force against both Rezaei and Fallahian. In January the governments of Iran and Argentina agreed to set up a “truth commission” of international legal experts to analyze evidence relating to the 1994 bombing in Buenos Aires. On February 28, Argentina’s congress approved the agreement, which provides for officials to travel to Tehran and interview Iranians with Interpol arrest warrants issued in connection with the attack. 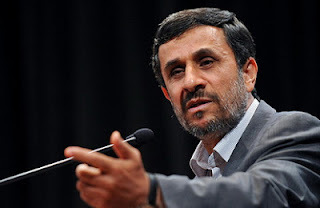 On May 20, Iran’s Fars News Agency reported that Ahmadinejad’s government has approved a memorandum of understanding with Argentina on forming the truth commission without waiting for approval from Iran’s parliament.